#1 - Day 8: 3:00 P.M. - 4:00 P.M. 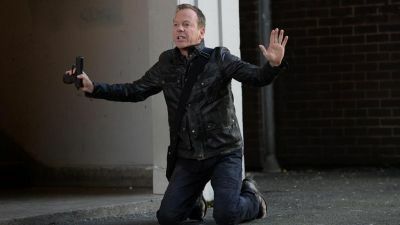 Emotions run high as the harrowing day climaxes with resolute President Taylor closing in on a world-changing peace treaty and a vengeful Jack Bauer taking matters into his own hands for one last and unforgettable job. 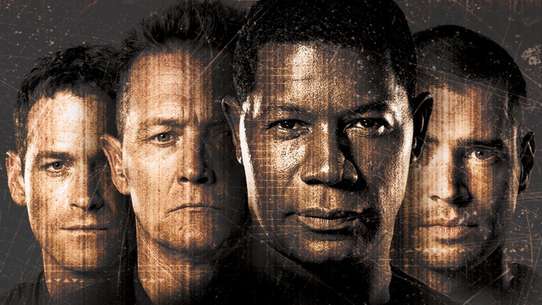 #2 - Day 8: 1:00 P.M. - 2:00 P.M.
As the clock ticks toward the climactic series finale, three hours remain and a ruthless Jack Bauer is on an unwavering mission to uncover the truth, which only complicates circumstances for President Taylor as she prepares for a signing ceremony. Meanwhile, President Logan comes face-to-face with a formidable foe, and Chloe leads CTU on a high-stakes collision course with Jack Bauer. #3 - Day 4: 6:00 A.M. - 7:00 A.M.
As the missile speeds toward its destination, Mandy cuts a deal with Jack and the President to give up Marwan's location in exchange for a full pardon on all of her crimes. Tony and Michelle share a happy reunion, but Jack finds his relationship with Audrey shattered as she makes her feelings known. Logan's advisor suggests a drastic course of action when the Chinese government demands that Jack be handed over to them for trial. 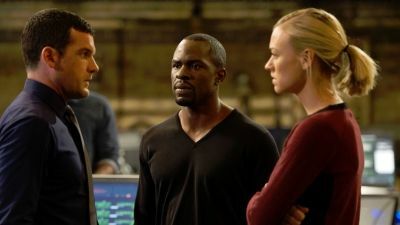 Palmer tries desperately to warn Jack of the danger against him. 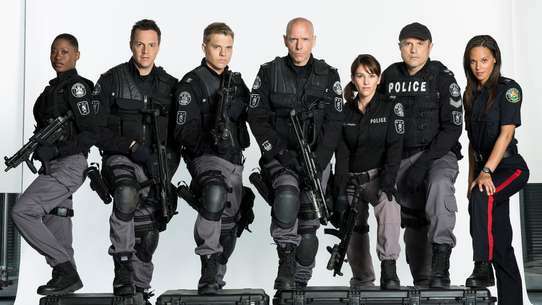 Jack's life changes forever as Tony, Michelle and Chloe help him to evade the trap set for him by Secret Service. #4 - Day 9: 10:00 P.M. - 11:00 A.M. The clock ticks toward the final seconds of Jack Bauer's most heroic day. As the world teeters on a terror plot of mass proportions, Jack and the team reunite one last time to avert an imminent international crisis. With little time left and the fate of the free world on the line, Jack is faced with an unthinkable and grave decision. Lives will be lost and the American administration will grapple with the day's most devastating news as the clock stops. #5 - Day 5: 6:00 A.M. - 7:00 A.M.
Jack takes his fight directly to the President as he attempts to force a confession from him that will prove his involvement in the day's events. Martha vents her hatred for her husband in front of the press as Logan gives a eulogy over Palmer's body. Jack and Audrey share a tender moment when it seems the crisis has subsided, but Jack finds that his problems have only begun as his past catches up with him. #6 - 11:00 P.M. - 12:00 A.M.
Palmer has had enough of Sherry's power plays and has a final showdown with her in the hotel ballroom. Nina knows that the Drazens have no leverage without Kim, so she calls Jack and tells him that Kim's body was found floating in the harbor. Jack is crushed by grief and then he flies into a rage. He rushes the Drazens and a bloody shoot-out ensues. Nina's cover is blown and she makes a final dash for safety, leaving a bloody trail behind her. Jack is able to apprehend her before she can escape, but he is stunned to learn that he didn't arrive soon enough. #7 - Day 8: 2:00 P.M. - 3:00 P.M.
#8 - Day 3: 12:00 P.M. - 1:00 P.M.
Jack and Chase must make a powerful sacrifice when dealing with the virus. 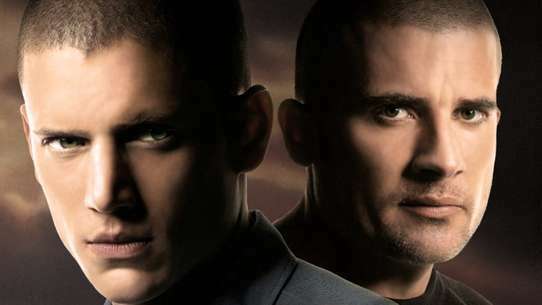 Tony is able to help Jack one last time before he is taken into custody, while an angry victim seeks vengeance on Saunders. Palmer makes a surprising career choice in the wake of Sherry's death. #9 - Day 2: 7:00 A.M. - 8:00 A.M.
Jack uses Sherry to lure Kingsley out into the open, but Kingsley suspects a set-up and lays his own trap. Kate and her father have a final, ominous conversation with Marie. Palmer's attorney finds evidence involving Kingsley and convinces Mike to release Palmer from custody. Palmer and his cabinet gather to watch as Sherry meets with Kingsley. Mike orders Chappelle to reinstate Tony and Michelle. Jack sends Sherry in for the meeting with Kingsley, but his mounting heart troubles cause problems for him at the crucial moment. 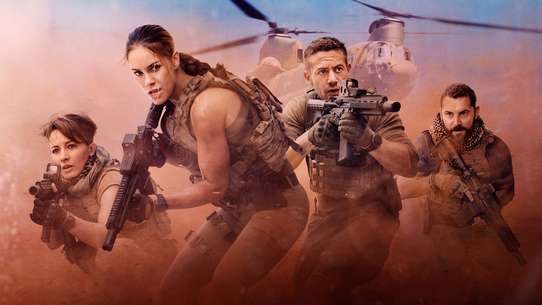 #10 - Day 9: 6:00 P.M. - 7:00 P.M.
Jack Bauer and President Heller endure the unthinkable to thwart the terror attacks of mastermind Margot Al-Harazi. Meanwhile, CIA agent Jordan Reed faces a life-or-death struggle and Kate takes drastic measures to track down Margot before it's too late. #11 - Day 7: 7:00 A.M. - 8:00 A.M. Presented with the evidence of Olivia's actions, President Allison Taylor is forced to make a decision between her family and the Presidency. Thanks to Kim Bauer, Janis, Renee and Chloe are able to save Jack and arrest Tony before he can kill Alan Wilson. With Wilson refusing to talk and Jack about to die, the fight is no longer in the field, it's for the hearts and souls of Jack and Renee. 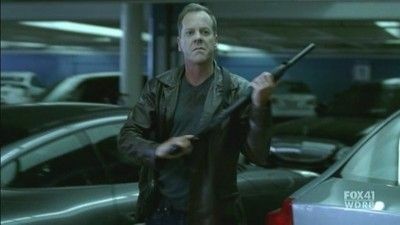 #12 - Day 9: 2:00 P.M. - 3:00 P.M.
With the threat escalating, Jack Bauer heads to the U.S. Embassy as the CIA closes in on him. Elsewhere, Margot asserts her authority with unthinkable force, President Heller faces members of Parliament and Kate Morgan takes matters into her own hands. #13 - Day 5: 6:00 P.M. - 7:00 P.M.
Jack takes Henderson to CTU for questioning. 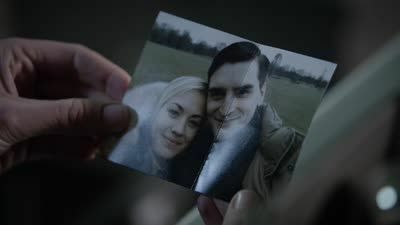 Once there, he faces an unhappy reunion with his daughter, Kim. 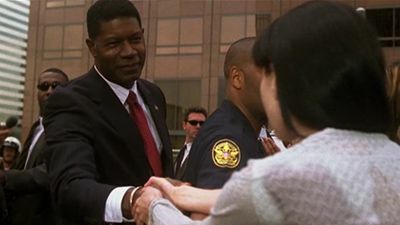 Mike appeals to Martha for help as Logan faces pressure from his Vice-President to declare martial law on L.A. Lynn connects the theft of his keycard to an impending strike on CTU, but his warning comes too late to stop a terrorist from infiltrating the building. #14 - Day 2: 10:00 P.M. - 11:00 P.M.
Palmer, Mike and Lynne discuss various ways to dispose of the ticking bomb. They conclude that the desert is the best place to set it off. Jack determines that one man must pilot the plane carrying the bomb. He chooses to fly the plane himself and bids a tearful goodbye to his daughter. 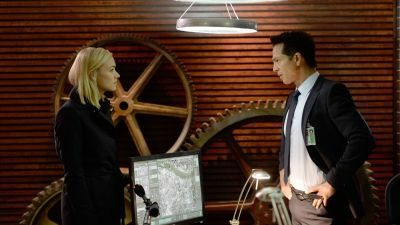 Tony and Michelle become suspicious of a Middle Eastern diplomat who is asking questions about the evidence against Syed Ali. Palmer departs for Los Angeles so he can be on hand when news of the nuclear bomb reaches the public. 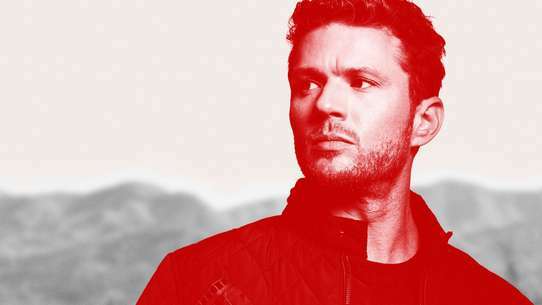 #15 - Day 9: 12:00 P.M. - 1:00 P.M.
Jack and Chloe are on the trail of a hacker who might lead them to whoever is behind an assassination attempt on President Heller... but Kate is hot on Jack's trail. 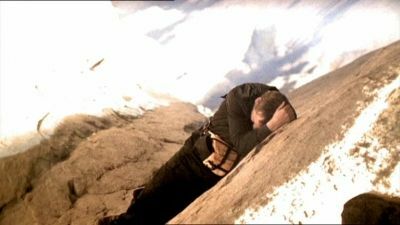 #16 - Day 9: 8:00 P.M. - 9:00 P.M.
Jack Bauer's harrowing day crescendos as he pursues final leads at all costs. The emotional toll of the day's events escalates when Kate Morgan learns the truth about her husband and Audrey confronts Boudreau about his duplicity. Making matters incredibly worse, the scope of the terror threat widens and the potential devastation reaches new heights. #17 - Day 9: 11:00 A.M. - 12:00 P.M.
After four years off the grid, Jack is apprehended in London by the CIA – on the very day that President James Heller arrives. As the President faces political pressure over a US drone program run from a UK-based base, only disgraced agent Kate Morgan suspects that Jack's capture was all too easy. #18 - Day 9: 3:00 P.M. - 4:00 P.M.
As Jack deals with unforeseen circumstances, an unlikely duo joins forces to prevent an impending attack in London. Meanwhile, homegrown terrorist Margot Al-Harazi reveals her demands - revenge for her husband's death in a U.S. airstrike. Also, President Heller orders a lockdown of military airspace, but it may be too late. #19 - Day 3: 6:00 A.M. - 7:00 A.M.
Jack and Chase race against time to capture Saunders before the deadline, while Chappelle plans an escape. 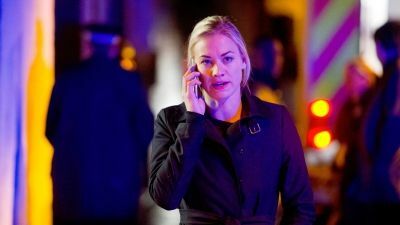 Michelle begins a frantic search when she learns that an infected hotel guest may have slipped through her fingers. #20 - Day 6: 5:00 A.M. - 6:00 A.M.
CTU discovers where Philip is hiding and Daniels orders an air strike in a desperate move to appease the Russians. 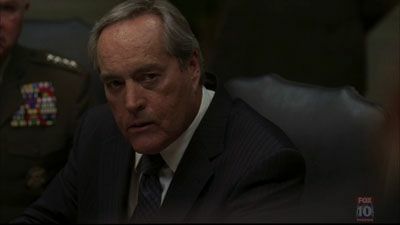 Jack and Bill go after Josh alone before the bombers find their target.Lennox persuades Daniels to grant leniency for Bill and Karen. In the wake of the close call, Daniels begins to question his choices as acting president.Chloe gives Morris some surprising news that alters their relationship, while Marilyn is reunited with Josh at CTU. #21 - Day 9: 7:00 P.M. - 8:00 P.M.
Jack and Chloe have a plan in place to eliminate the terrorist threat before any more attacks rock London. With no time to spare and lives on the line, Jack and Kate pursue crucial leads in an attempt to gain the upper hand on the incredibly intense circumstances. Meanwhile, key players reveal their true colors. intense circumstances. Meanwhile, key players reveal their true colors. #22 - Day 9: 4:00 P.M. - 5:00 P.M.
As the smoke clears after the devastating events of the first five hours, tensions between President Heller and Prime Minister Davies boil over, and one of them decides to take matters into his own hands. In the meantime, Jack proposes a plan to locate Margot by using someone unexpected as his unsuspecting bait. 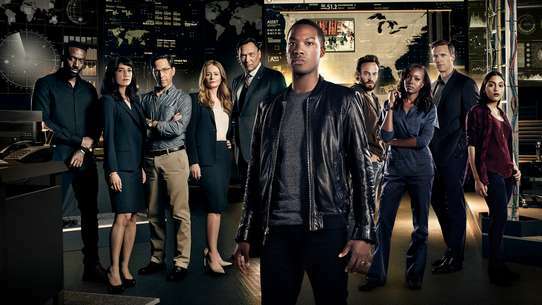 Back at the CIA in London, Jordan raises suspicions about Kate's husband. 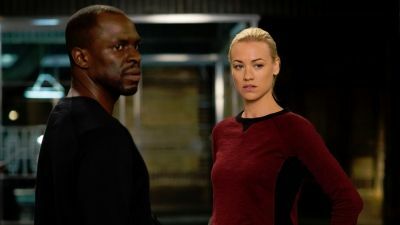 #23 - Day 8: 12:00 P.M. - 1:00 P.M.
With only four hours left, a rogue Jack Bauer stops at nothing to determine who is behind the day's most devastating events, and he uncovers an unexpected lead. #24 - Day 8: 7:00 A.M. - 8:00 A.M.
President Taylor undergoes a game-changing setback; President Hassan makes a decision that shocks his loved ones; trusted confidantes become enemies of the state. #25 - Day 7: 8:00 P.M. - 9:00 P.M. 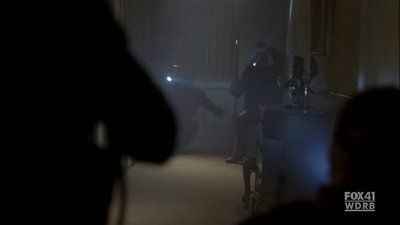 The siege on the White House reaches an explosive end after Jack and Bill work together to try and save President Taylor. Meanwhile, Jonas Hodges makes moves to cover his own tracks, starting with Ryan Burnett.